ST. MARYS, Pa.--(BUSINESS WIRE)--As the nation prepares to celebrate Labor Day Weekend, a time for recognizing the hard work of American workers, the maker of SYLVANIA light bulbs in the United States is announcing it has invested millions of dollars to keep and add local manufacturing jobs and increase U.S. production of something we all depend on – the light bulb. This initiative transitions 200 jobs from making traditional lighting products, whose demand has been declining, to new LED technology and also adds 20 new jobs. LEDVANCE has achieved this milestone by upgrading its St. Marys, Pennsylvania and Versailles, Kentucky factories. The lighting leader is celebrating this announcement at its St. Marys, Pennsylvania factory today with Walmart, which has made a 10-year commitment to buy an additional $250 billion in products supporting American jobs. 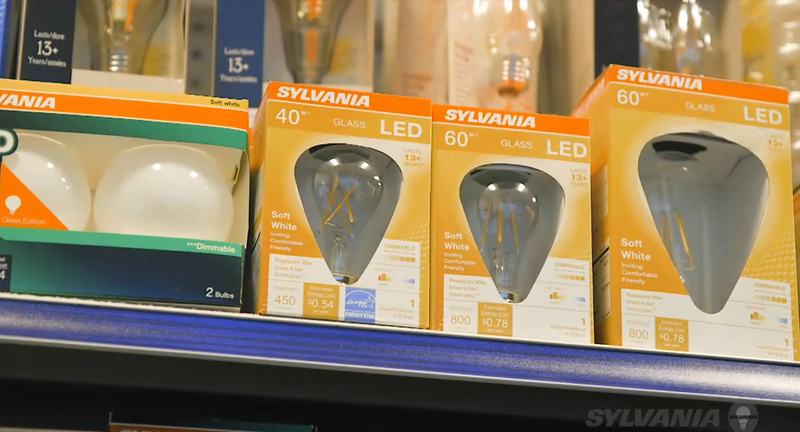 New SYLVANIA LED light bulbs assembled in the U.S. are at Walmart stores nationwide and will be in additional retailers and sold via industrial commercial channel partners in the near future.